The textile industry causes many problems for the environment: The vast cultivation of cotton and the associated water consumption, the oil extraction (crude oil is the base for polyester) and the associated toxic pollution and the huge amount of garment waste of which nobody knows where to dispose of: Used clothing, new garments that aren’t even sold after the sales period and garment leftovers that occur during cutting in the textile production cycle. 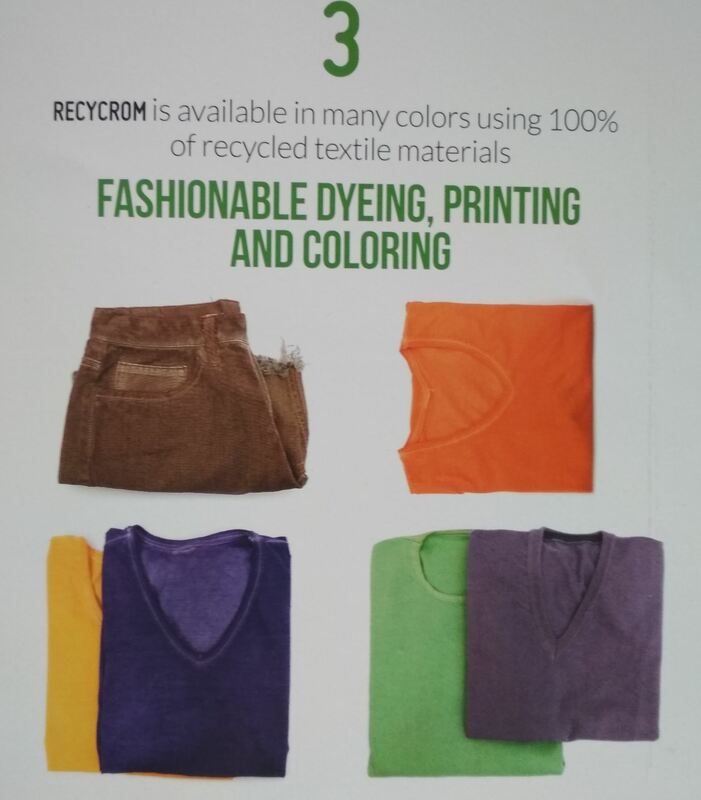 Take colorful garment waste, powder it and process the dye pigments for the use of dyeing new garments. 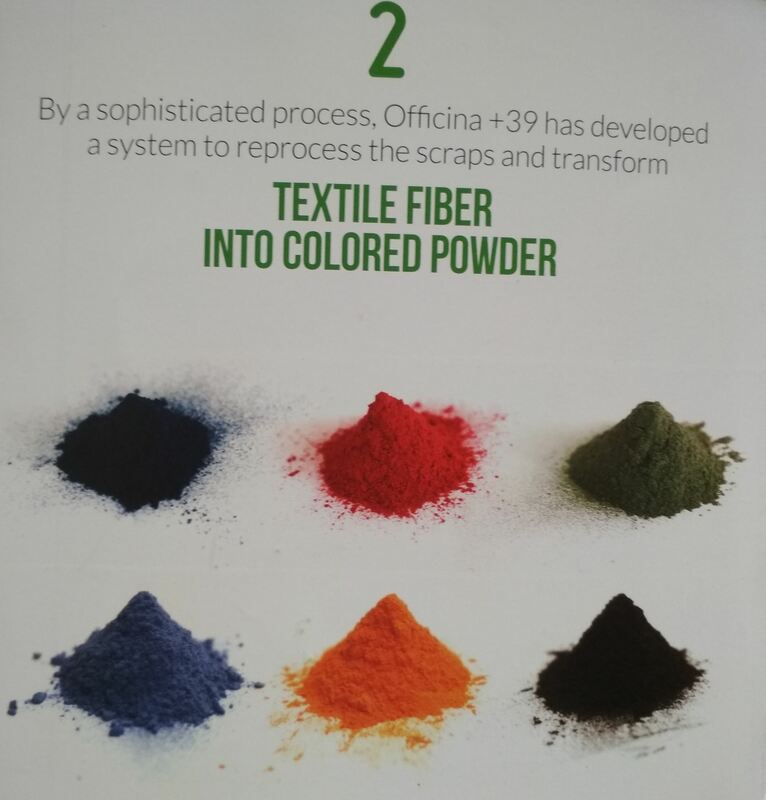 The color range is as huge as the recycled pieces and the pigments are especially suitable for the popular „used-look“ dyes: Pigment and reactive dye or for achieving the acid wash look, all applications that are very damaging to the environment. 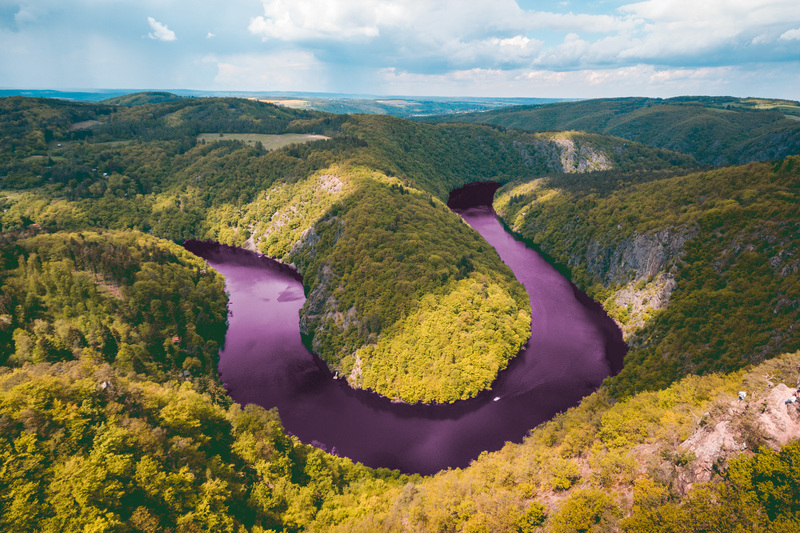 Even the Chinese government enforced stricter environmental conditions on the factories that offer those dye intensive applications, knowing, that they contribute to pollution on a large scale. Basis for the dye stuff is as mentioned textile waste from textile productions. Coming from that source it is comprehensible, how fabrics are treated and it can be made sure that there aren’t any harmful AZO or dispersion dyes involved. The application of these dangerous, allergenic dyes is forbidden, but there is cases of outer European produce that contains these substances: They are cheap and the colors come out intensely and tenably. 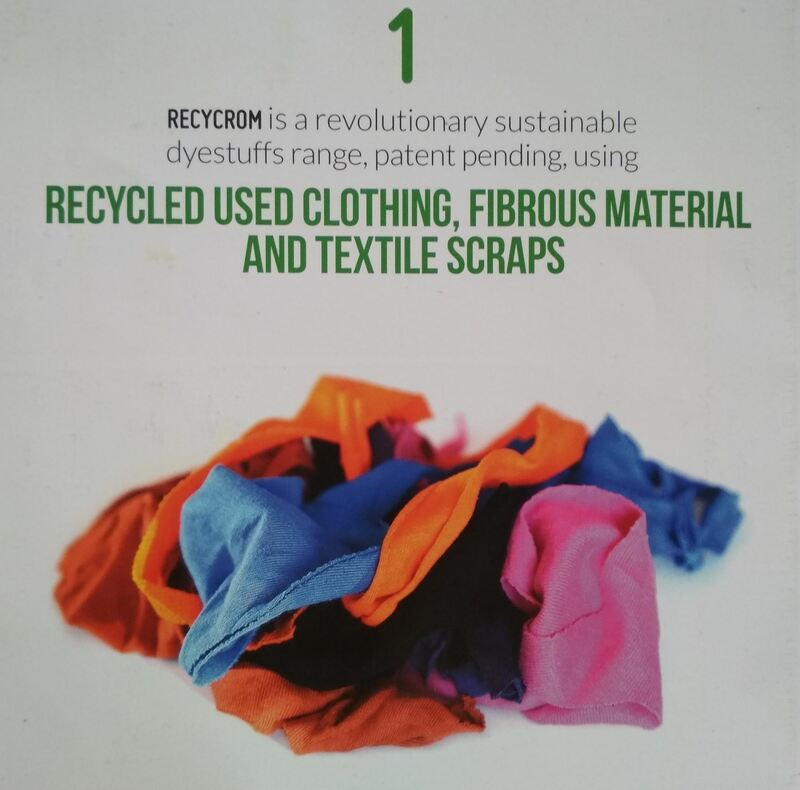 That’s the reason why so far used clothing is not relevant for recycling them into dye pigments: It is too effortful to test them for harmful substances, before they can be processed with a good consciousness. So we really hope, that this great idea can be established in the dye industry! Curious about natural dyeing methods?